Robbie Kruse was recently injured while training for his club Bayer Leverkusen, and an MRI showed that he would be out until next season. 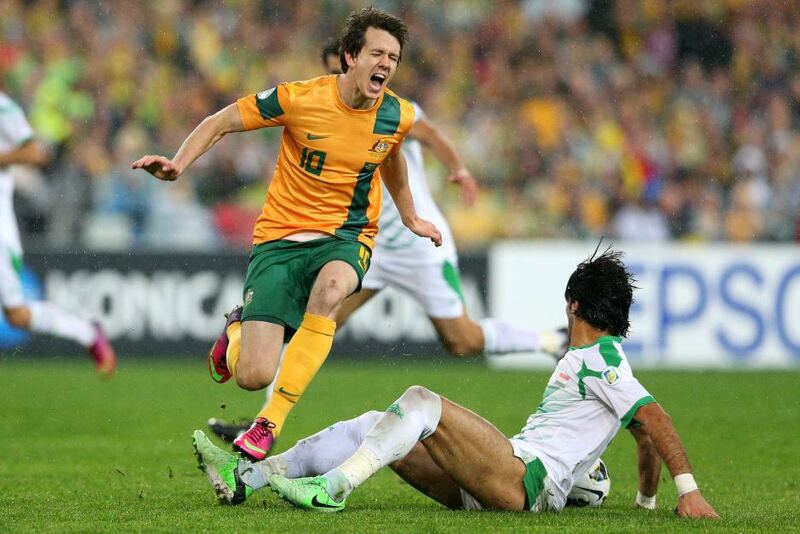 Robbie Kruse was one of Australia’s best current players, and hottest prospects for the future, and with this injury, Australia’s fate for going through to the knockout stage for the world cup went from almost none, to utterly no chance. Alot of Australia’s players are old, too old to be playing for us. Especially Lucas Neil. Tim Cahill is lucky to be on the squad still, his world class heading ability, combined with Kruse and Oar’s crossing has provided Australia with it’s main attack force. Under new Management, Ange faces the difficulty of choosing an experienced side, but also players that have consistant playing time. This is hard for Australian players, because most Experienced players are too old, or don’t get enough playing time at their European clubs. I know i’ll be screaming at the TV during the matches, and supporting them with all my heart, but there’s only so much we can do when we were placed in the group of death.